Don’t worry. We’ll help you remove that error and run the printer service again. Here are the solutions you can try. You shouldn’t have to do every single one. Just try each one in turn until everything’s working again. Note: All the screenshots below come from Windows 10, but the fixes also work on Windows 7 & Windows 8. You should first uninstall the printer from your computer. 1) Open Control Panel, and click Devices and Printers (you should view by small icons to find Devices and Printers). 2) In the Printers section, right click on your printer, and select Remove device. 3) Confirm to delete the printer. Now you should reinstall your printer to your computer. 2) Click Add a printer in the menu bar. 3) Wait for your Windows to search your printer. 4) After searching, select your printer, and click Next to install. 5) Your computer will automatically connect to your printer and install it in your computer. 6) Try to have a test print to see if your error disappears. This should resolve the issue. If not, we have something else you can try. 3) Double click Printers to expand it, and right click on your printer (it may show as Unknown device), and select Uninstall device. 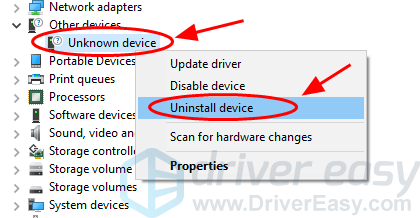 4) Check the box next to Delete the driver software for this device if you’re prompted, and click Uninstall. 5) After uninstalling, restart your computer and Windows will reinstall the printer driver for you. Try your printer again and the error should be removed now. 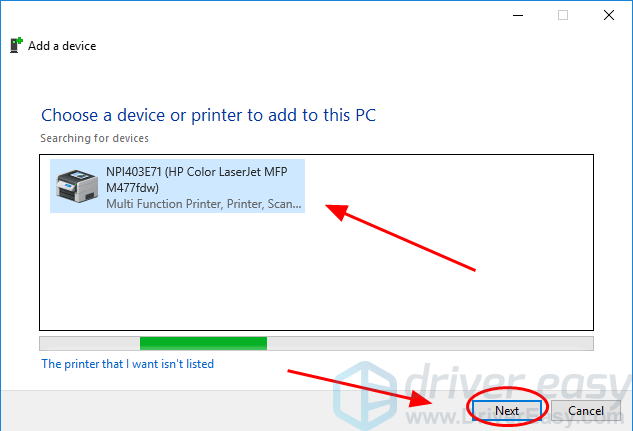 If the error still persists, you can try Method 3 to update your printer driver. 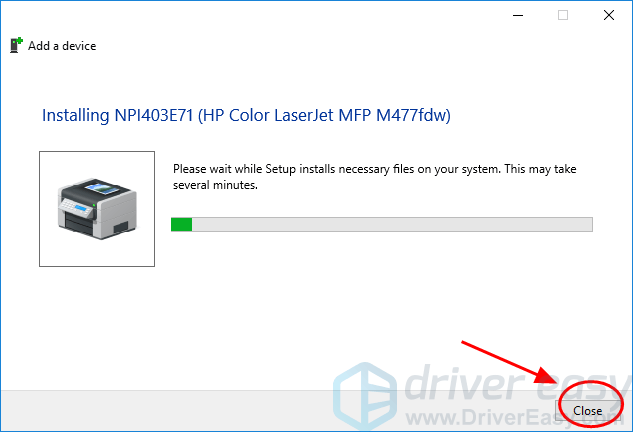 The missing or outdated printer driver can cause the Print driver host for 32bit applications has stopped working error, so you should make sure that your printer driver is up to date. Manually – You can manually update the printer driver: go to the website of your printer manufacturer, find the latest and correct driver and install it in your computer. This requires the time and computer skills. 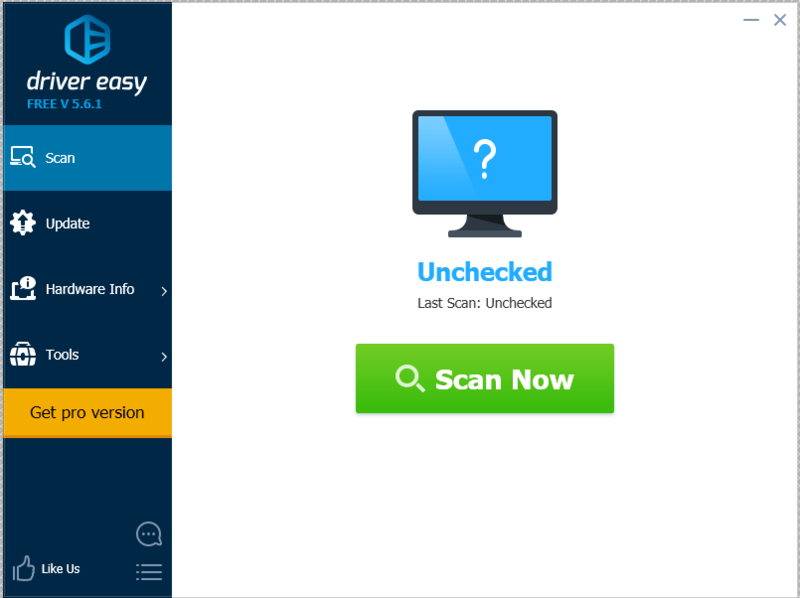 Automatically – If you don’t have time or patience, you can do that automatically with Driver Easy. 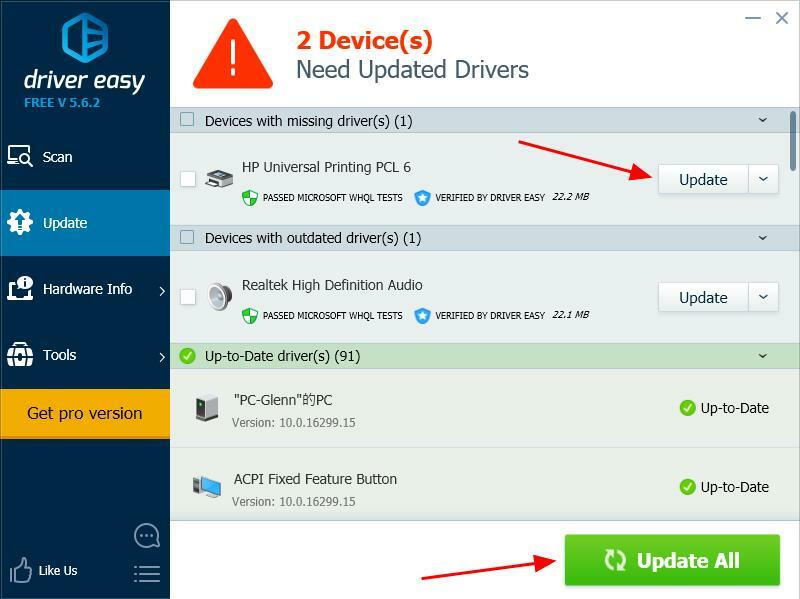 3) Click the Update button next to the flagged printer device to automatically download the latest driver (you can do this with the FREE version), then install it in your computer. 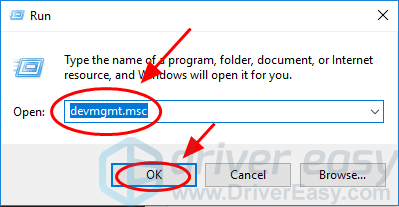 Or click Update All to automatically download and install the all the latest correct drivers that is missing or outdated in your system (This requires the Pro version. You will be prompted to upgrade when you click Update All). 4) Restart your computer, and try your printer to see if the error disappears. 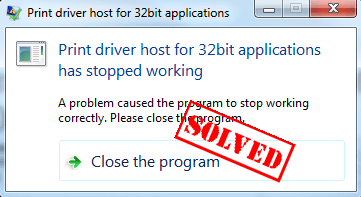 There you have it – The three methods to fix the Print driver host for 32bit applications has stopped working error. If you have any questions, feel free to leave a comment below.